An LCD display that can display a max of 16×2 charactors. 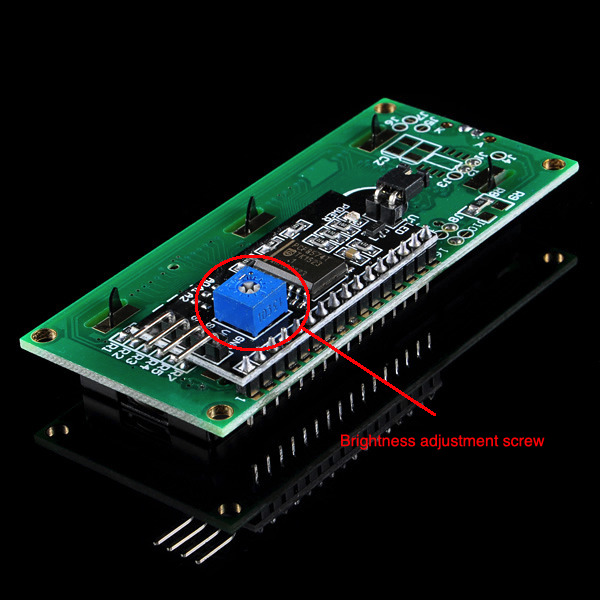 with the help of the I2C bus convertor and related libraried, you can easily use this module with just 2 wires. 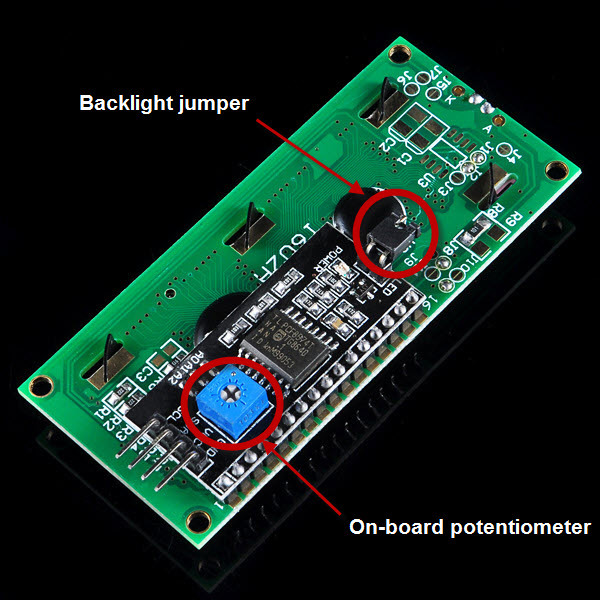 There is a jumper on the board, if you take away this jumper , the backlight will aways be off, and you can also control the LCD contrast by adjust the on-board potentiometer.